So, remember that one Guardian article from 2012 that some people still post on your Facebook wall every other week? It's titled "Five hundred new fairy tales discovered in Germany!" Well, good news: the much-awaited English translation is finally here! Well, actually, a bilingual German-English volume has been out since last year, but the new book, titled The Turnip Princess, adds another batch of sixty-something tales now available in English. Yay! In which green slips stand for stories I want to tell (14), orange slips stand for stories that are also included in the other volume (7), and pink slips stand for notable moments. I have been busy. The edition itself is very well done. Stellar intro from Maria Tatar (Hungarian pride! ), extensive and thought-provoking notes on each tale, and an appendix with archive numbers, folktale types, and places of collection. Everything a storyteller can wish for. And now, for some of the highlights! 1. Even though Tatar claims it's "not part of the European canon," the story of King Goldenlocks is actually a version of The Golden-haired gardener, a Hungarian folktale I just told two months ago at the Tenerife storytelling festival. I have never known another version of it, so I was delighted to find one in here! 3. I was most excited about the Dung Beetle Prince tale that was teased in some of the articles, and it turned out to be the most adorable little story. I won't spoil it, but it's great. 4. There is a great number of tales in the volume that feature wood sprites, wood nymphs, gnomes, mermaids, and other mythical creatures, and most of them seem to be on amicable terms with humans. The darker steak is reserved for the mermaids who destroy mortals by loving them; but the woodland creatures are generally helpful and friendly, and revel a less known side of German folklore. 5. 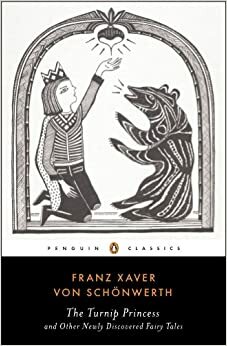 There is a version of the Pied Piper in this book (The Mousecatcher, or the Boy and the Beetle) that picks up where the children disappear inside the mountain. Think about that for a moment. 6. This volume (and the other one as well) features a tale that is a full-blown prequel to the popular "Tall, Wide and Sharpsight" folktale type, explaining how the magical helpers in these stories originally received their abilities. Yup. It's a superhero origin story, and it's titled Sir Wind and His Wife. 7. There is a tale of mortal girls marrying ice giants and living happily ever after. 8. At the end of a "Valiant Little Tailor" type story the princess refuses to be given as a prize and makes plans to murder the hero she is forced to marry. 10. There are several recognizable elements of pagan mythology, such as a folktale version of Freya's necklace. 11. More than one story deals with why people should not torture animals or vandalize trees. The tree one (The Singing Tree) gets especially creative in driving the point home. Definitely a recommended read for storytellers. Eat your heart out, Ichabod Crane. Following the resounding success of Spain's high-profile, three-season historical TV show Isabel (also available on Hulu now), Spanish TV has once again gone and done it: This week sees the premiere of a brand new series that ambitiously encompasses the entirety of Spanish history through time travel. And damn do they do it right. 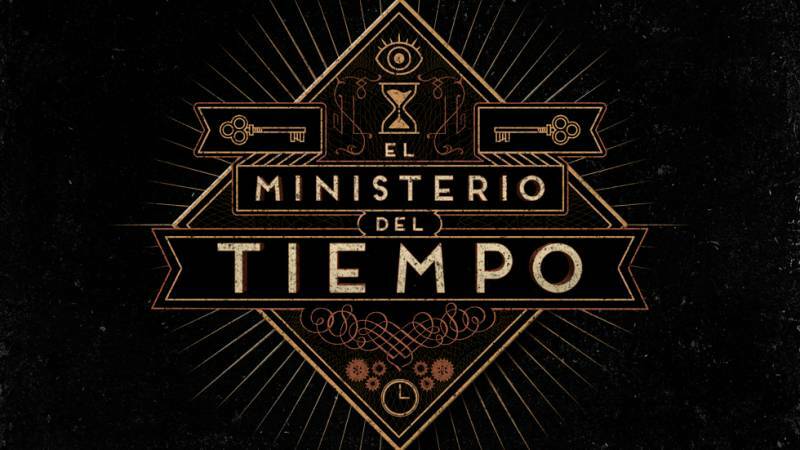 El Ministerio del Tiempo (Ministry of Time) is the story of a secret government agency that oversees the "doors of time" that lead to various points and places in Spanish history. The agents, recruited from many different eras, are responsible for keeping the country's history on track in the face of unforeseen complications, such as rival (French) time travelers trying to change the course of past events. The three main characters are Julián, a 21st century paramedic, Amelia, a 19th century early feminist and university student, and Alonso, a dashing 16th century soldier. They are all picked for their unique qualities and struggle with their own problems in their own eras, but come together as a team for missions to save the past and present of Spain. "Without them, the future is history." 1. It gives its audiences the benefit of the doubt. Instead of trying to spell out everything repeatedly ad nauseam, they allow the viewers the courtesy of assuming they all graduated a high school history class. The writers throw themselves with obvious enjoyment into their own country's culture, and drop names and references like they are hot; all needed explanations are made by the three protagonists, who often have to explain things to each other as well (and it's not always the 21st century guy that knows the answer). 2. It does culture shock and does it well. While Sleepy Hollow was dubbed by some of my friends as "the 5 minute culture shock," MdT pays attention to detail. Characters awkwardly try to figure out whether they should kiss, shake hands, or bow. Alonso is endlessly mesmerized by cars, but in return Julián has to admit on the first mission he doesn't know how to ride a horse. The absolute winning moment for me, however, was when Amelia was taken into the 21st century, and her (female) boss started her training by introducing her to the miracles of tampons. Apparently feminine hygiene products are even exempt from the Ministry's "no objects allowed outside their own time" policy. Brownie points. 4. It combines entertainment with education. Since it is based on Spanish history, once again RTVE is using the power of entertainment to teach viewers more about their heritage. The website, just like Isabel's, is full of extra information, social media links, timelines, interviews, the works. There is clearly a lot of effort that went into linking the adventures on screen to what really happened. According to historians, obviously. Long story short: Time (heh) to brush up on your high school Spanish and crack open some history tomes. I'll definitely be a regular viewer. Announce your A to Z theme with us on March 23rd! Announcing the Great and Powerful A to Z Theme Reveal Blogfest! Sign-ups for the 2015 A to Z Blogging Challenge are already under way. If you have done it before, you know how much fun it is (good for you!) and if you have not, this is your chance to give it a try! You can sign up to participate here. One of the most burning questions participants ask themselves every year is: "Should I have a theme?" Themes are not mandatory, but definitely fun. They let your visitors know what to expect, and help you create posts that line neatly up from A to Z. They also have an added bonus: They let you participate in a whole separate blogfest! Two years ago A to Z participant Mina Lobo started the Theme Reveal, and we thought it was such a great idea that we made it tradition. It is now our very own, grand and festive way of rolling out our themes together! Sing up on the Linky list below, and on March 23rd (Monday) publish a post on your blog in which you reveal your theme, tell us why it is exciting, and give us a hint of what to expect from it. Then, once your post is up, use the Linky to visit all the other blogs announcing their themes. Enjoy! This is a great opportunity for all of you to get a jump start on your A to Z experience. You can link up with fellow bloggers, scout out and bookmark themes that you look forward to, and set out delicious themed bait on your blog to lure in wandering participants! This way, by the time the frenzied posting begins on April 1st, you will already have an audience eagerly awaiting your posts. Sign up below, ready your theme, and mark March 23rd in your calendar! Confession up front: I am a great fan of the Lunar Chronicles. Fandom, in general, does not need to be justified. However, as a scholar of popular culture and storytelling, I felt like writing about the latest installment in the series: Fairest. Fairest is actually a prequel, but I wouldn't recommend reading it before the other volumes - it really lives within the context of the series, and you might not get all the information and hidden hints if you go into it blind. With that said, it is an absolutely gorgeous, fascinating piece and a full story on its own. More importantly, it is a teachable example of how to handle fairy tales well. Marissa Meyer goes above and beyond most fairy tale adaptations the market is flooded with. She doesn't only take a plot and some iconic images to go with it - a girl in a red hoodie jogging in a park, for example (*cough*Grimm*cough*) - but demonstrates a deeper, more subtle, and more graceful understanding on what stories are, and how they work. She conjures imagery that is both iconic to the sci-fi world she created, and at the same time evokes much older, almost indescribable dream-like memories we are all very familiar with from childhood. Sour apple candies. A pregnant seamstress with an embroidery frame in her hand. Blood on white sheets. Elaborate dresses for a ball. 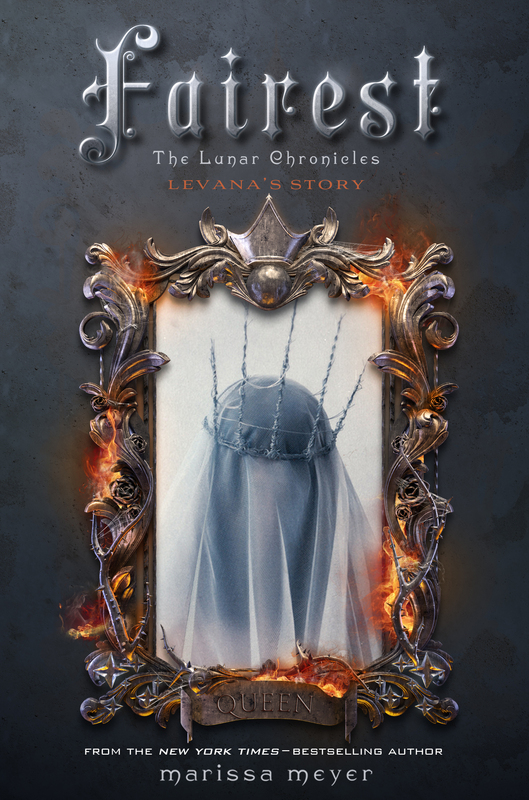 The Lunar Chronicles series is an endless stream of Easter eggs for storytellers and story-lovers, without ever becoming too obvious or on-the-nose the way many adaptations are ("Get it? Get it? GET IT YET?! *cough*OnceUponATime*cough*), and even if you don't get any of them, it is still a great story on its own. It works with motifs, symbols and tropes, not entire pre-made folktale types. It plays with expectations, imagery, and plot in a way that walks the tightrope between familiar and intriguing expertly and with elegance. Another thing I like about Meyer's writing: She, unlike many other YA authors, is not obsessed with the physical descriptions of her characters. No one is "gorgeous" and "chiseled" and we don't have to read doting repeat descriptions of the protagonists "golden eyes" (*cough*MortalInstruments*cough) - unless they are directly relevant to the story itself. She doesn't fawn over the looks of her characters - much like with the fairy tale elements, she gives you subtle hints, and allows you to dream up the rest. She works with more complex and open ideas of what beauty is, and presents a wide range of diverse looks in terms of hair, eyes, and skin coloring - and my favorite part: Her "Snow White" is not white at all. Five stars out of five, and go read the entire series!